Copenhagen 1926, successful Danish artist Einar Wegener (Eddie Redmayne) is married to struggling artist Gerda (Alicia Vikander), they have a good marriage, they love each other very much, that is obvious. Gerda is sometimes jealous of her husbands effortless success, selling paintings and being fêted by collectors. Gerda does have some commissions including a ballet dancer friend, who is not always available for sittings. Struggling for a muse, Einar stands in by donning the stockings and ballets shoes to allow the painting to be finished, a foot model if you will. But holding the dress against himself to complete the effect, creates a frisson of excitement and has a profound impact upon him. Over time it becomes clear Einar enjoys the feel of the women’s clothes, not just to touch but wear, something his wife notices but initially chooses to accept or ignore. The couple continue to play act, creating “Lili”, Einar dressed as a woman to attend a gallery opening. However Einar and Lili start to become interchangeable with Gerda realising she is losing not only her husband but the man she previously knew. The film is a fictional love story loosely created around the real life transgender pioneer, who endured early 20th century victimisation, lack of understanding and accusations of lunacy. 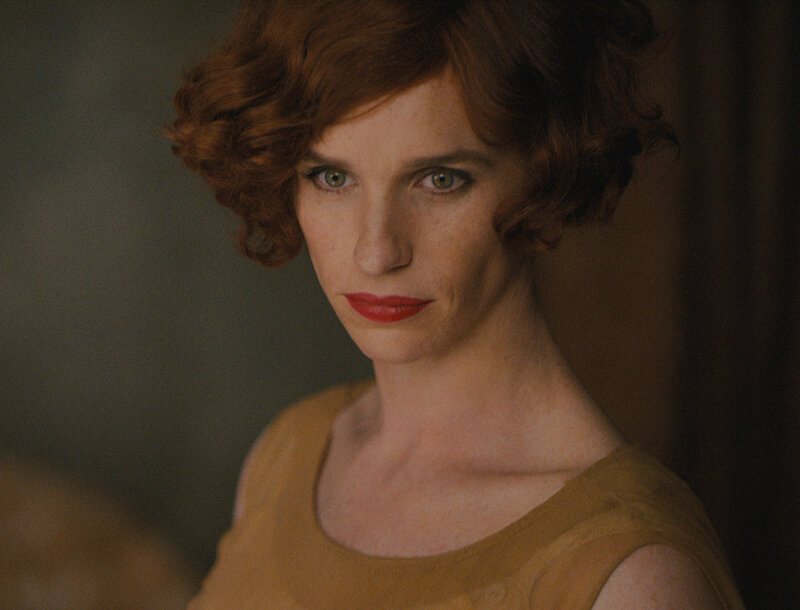 “Treated” by a succession of doctors hoping to cure his illness, he eventually attempts the transition to become “Lili Elbe”. Redmayne coming off his best actor award Oscar for “Theory of Everything”, could have taken the easy route, got a gun in his hand and taken the money for any number of blockbuster scripts. Instead he transforms himself into a woman for much of the film, not a joke comedic character but a real person deeply hurting as he fights his inner demons and desires. Not to be outdone and despite an excellent performance, Vikander is if anything better again. Deeply in love with her husband, she sees him slip away from her, yet finds ways to continue to love him/her. Both performances are a tour de force and the film does not pull it’s punches. Minor quibbles, the lack of money whilst their world is in chaos is barely mentioned and the couple live in a somewhat bohemian bubble of apparent privilege but these are just details, largely irrelevant to the story. An excellent film, not for everyone, the subject matter will deter some but is worth a watch for the performances and the story being told. Ultimately, this is film about people struggling to determine who they are and finding ways to stay together during that journey, a true love story then, whatever the gender.